Nexera full size platform bed 401254 can be paired with different Nexera full size headboards to create a complete bed set. Its unique design gives the impression the bed floats above the ground, giving the entire room an airy feel. Nocce Collection is distinguished by its timeless contemporary lines and warm Truffle finish. It offers a full selection of bedroom furniture with 3 sizes of platform bed - Twin, Full and Queen. The Alegria Collection from Nexera is a timeless and functional bedroom collection offered in a rich natural maple finish with hardwood knobs. 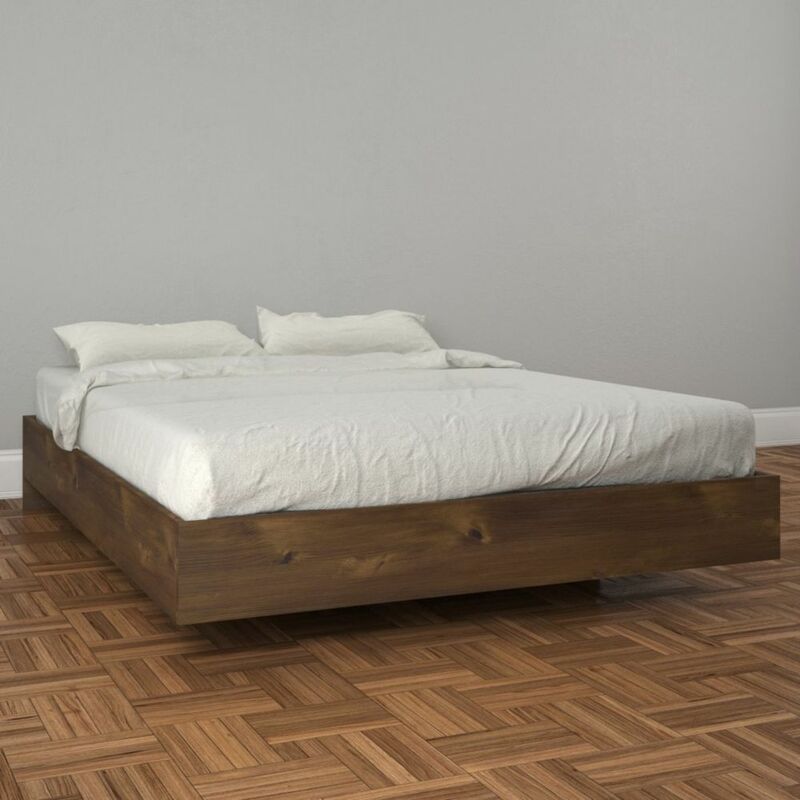 The Alegria storage bed features a unique metal and hardwood slat construction allowing for easy assembly, sturdy construction and easier handling. This bed offers 3 convenient storage drawers mounted on metal slides, ideal to store away beddings, clothes, books and other miscellaneous items. The drawers are reversible and can be assembled on either side of the bed. Alegria Twin Size Storage Bed is a natural selection for your children's room. Its convenient 3 storage drawers are ideal to store away beddings, clothes, toys, books and other miscellaneous items and are mounted on solid metal slides. Alegria bed is also entirely reversible, so you can decide on which side you prefer having the 3 drawers. Alegria Collection from Nexera is a timeless and functional collection offered in a rich Natural Maple finish with hardwood knobs. The Avenue storage bed with matching headboard is the ideal start point for any modern bedroom. It's modern black finish makes for a beautiful and classy bedroom. This bed offers 3 convenient storage drawers mounted on metal slides, ideal to store away beddings, clothes, books and other miscellaneous items. The headboard features lateral storage spaces on each side, ideal to keep your favorite books and magazines handy. The Jet Set 3 Drawer Storage Bed features a unique metal and hardwood slat construction allowing for easy assembly, sturdy construction and easier handling. This bed offers 3 convenient storage drawers mounted on metal slides, ideal to store away beddings, clothes, books and other miscellaneous items. The drawers are reversible and can be assembled on either side of the bed. Nocce Full Size Bed 401254 from , Truffle Nexera full size platform bed 401254 can be paired with different Nexera full size headboards to create a complete bed set. Its unique design gives the impression the bed floats above the ground, giving the entire room an airy feel. Nocce Collection is distinguished by its timeless contemporary lines and warm Truffle finish. It offers a full selection of bedroom furniture with 3 sizes of platform bed - Twin, Full and Queen.